Home Tags Posts tagged with "Generation Z"
As I’m sure you’ve heard by now, the current generation of students that we have in our schools, known as Generation Z, prefer their content in snackable chunks. They are looking for bite-sized nuggets of information that can be quickly consumed, understood, and shared. While we older folks may want to make fun of and perhaps even ignore this need, there is some research that shows that small bits of knowledge often create deeper meaning through references to shared stories or experiences. In other words, it works for them and their learning. What Does That Mean for Today’s Teacher? So what does that mean for teachers? How can you take the massive amount of knowledge that the standards say must be given to students and break it into manageable chunks that they will want to learn? And do that on top of everything else that you already have to do? In other words, it’s something whose meaning can be grasped very quickly. Once your students are somewhat familiar with the specific content/standards you want them to learn, then it’s easy to have them create their own bite-sized content and share it with others. But you have to first get them to that point. So here’s a possible process to follow to break a big lesson or idea into chunkable bites. I’m going to use the study of the Battle of the Alamo for my example in a Texas history class for seventh grade students. Step 1: The teacher examines the standard that the students must master, making sure that she is very familiar with what is necessary to know about it. 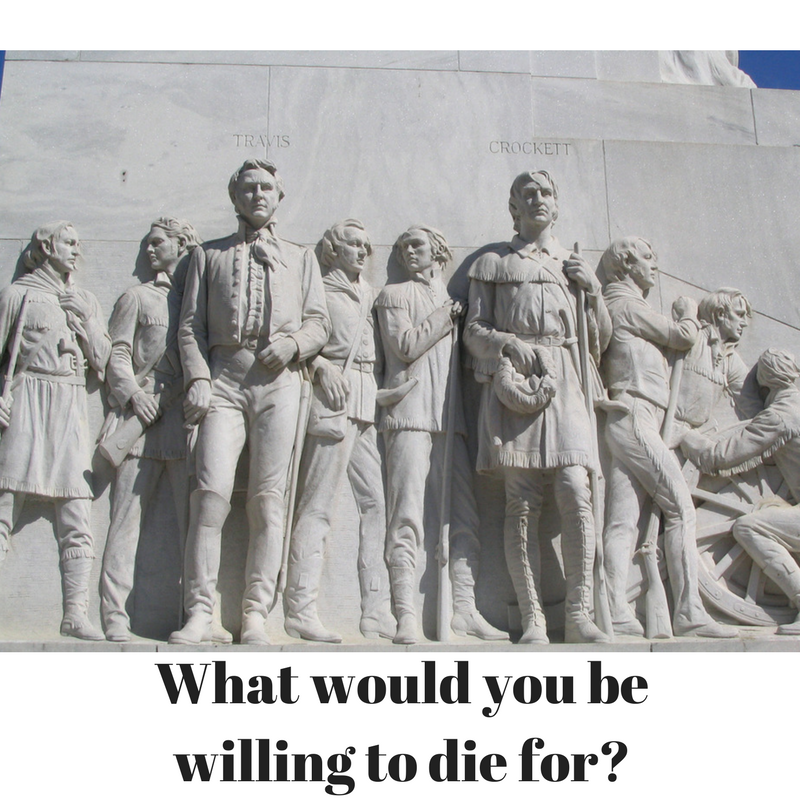 For the Alamo, although there is a lot students could know about the battle, the most important things are roughly when it occurred, why it occurred, and why it still matters today. Step 2: With those specifics in mind, the teacher creates the first chunk. Start with an interesting data point, something that will grab their oh-so-short attention span. I created a quick graphic with my leading question for the unit (below) using Canva, a free graphics tool. The image is easy to view and the text is minimal, but emotional. It should grab their attention. Step 3: The next step would be to get them into the unit. I would start by having them answer the question above using a collaborative tool like TodaysMeet or Padlet. Step 4: Now, give them the content. Break them into groups and assign each a group a specific concept to cover. For the Alamo, this could be The Armies, The Leaders, Why They Fought, The Results, etc. I would provide them with information pieces like the ones below that are heavy on images and emotion. The students would also be able to search for their own graphics as well. The key to this step is to be sure that each group knows exactly what they need to end up with in terms of the content to know. Step 5: After each group has presented their content (in whatever snackable format they wish), then give individual students an assignment that will assess whether they understand the key learning concepts you want them to know. This could be a formative assessment, a quiz, a project, a piece of writing, etc. Step 6: Don’t forget about having students reflect on their learning and the learning process after this unit. I might go back to the original question of what they would be willing to do for and ask them to apply that question to a current event going on. The time required to prepare this lesson is spent mainly in the planning part where the teacher must determine what is the critical knowledge that every student needs about that particular standard or concept. Once this is very clear, then it becomes easy to determine how to break that knowledge into chunks. Notice that there was no direct teach going on by the teacher during this lesson. Direct teach would come in if a student or group of students needed additional help to understand the concept. This frees the teacher up to wander around the room helping as needed while the students are doing the teaching and learning. To learn more about Generation Z, check out this blog about their characteristics and this blog about the use of explainer videos with them. Generation Z Is Here; Are You Ready? You may be getting tired of all of the “generational” talk that’s been prevalent for the past 20 years. And that’s understandable, especially since it generalizes groups of people. But there’s a lot of research that shows that individuals in a particular generation do have some of the same traits and characteristics, based to a large extent on what was happening around and to them while they were growing up. That is true of the latest generation, Gen Z, too. There are two billion individuals in this generation, making them the largest ever. They process information faster than other generations, thanks to apps like Snapchat and Vine. They live in a world of continuously updated information, which makes them dislike textbooks as out of date. Gen Z can quickly and efficiently shift between work and play, with multiple distractions going on in the background and working on multiple tasks at once. They desire more independent work environments, and 72 percent say they want to start their own business some day. They are fluent across five screens (TV, mobile phone, laptop computer, tablet, and desktop computer). Gen Z students want “snackable” content, short and image-filled. They don’t like a deluge of words. How Can We Best Help Generation Z Students Learn? It’s the last factoid about our students that is perhaps the most important at this time. And it directly impacts how we teach them every day. Generation Z will not, as a general rule, sit and read a chapter in their textbook and answer the questions at the end of the chapter. They are not adverse to hard work or difficult thinking, but they want the content given to them in short, easy-to-understand bursts. And that doesn’t mean watching a teacher-created PowerPoint. Instead, try having the students take the content and create their own versions of it, using a tool like Adobe Spark. Spark allows students to create social graphics, web stories, and animated videos quickly and beautifully. A log in with either Facebook, Google, Adobe ID, or email is required. You can see an example of a social graphic here and an excellent web story about wolves here. Using Spark lets students have voice and choice, two important requirements for Generation Z learning. And the provided free templates help to ensure that they spend their time on the content and not on deciding what color background to use. Adobe Spark can be used on the web, in the Chrome browser, or with the Android (beta version coming soon) or iOS app, all of which are free. Try it with your students today and see what amazing stories Generation Z has to tell. When asked what my list of basic technology skills are, I head over to Google, er, I mean, Bing, and do a quick search. There are a million lists of basic tech skills. The real question isn’t “What are the basic tech skills teachers need to have?” but rather: “How do you fundamentally expect them to shift teaching and learning for themselves, each other, and their students?” That question is more fun. With these, any professional learning you invite educators to can be enhanced to achieve much of what they need to better meet learners’ needs. Be sure to visit the Microsoft Education Community for access to free professional learning that includes micro credentials (e.g. badges) that teachers can earn and share. 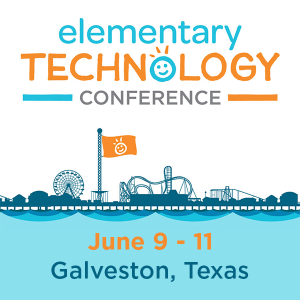 And, of course, remember that TCEA Microsoft Innovative Education (TCEAMIE) Master Trainer Miguel Guhlin (@mguhlin; [email protected]; 800-282-8232) is available to work with your campus or district to help develop skills with your staff.